Perry and Leo are red Ragdolls. They are six and a half months of age. They live in sunny Bournemouth. 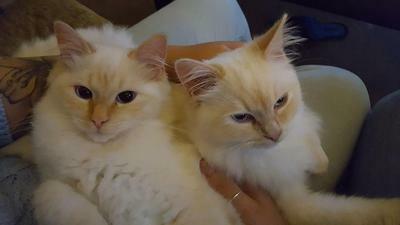 Perry is on the left and is a bit of a cheeky cat, who likes to play and gentle grabs and holds your fingers. Leo on the right is a bit of miserable looking cat but adores attention.